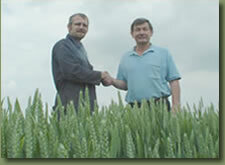 Ridings Machinery Ring (RMR) was formed in 1992 by a group of farmers and contractors as an independent, farmer owned co-operative for the agricultural industry in Yorkshire. The main aim of the group being to rationalise member’s labour and machinery resources in order to improve the viability of their business’ whilst retaining flexibility and control. RMR is an Industrial Provident Society and as such is not motivated by profit. RMR exists only to bring benefits to it’s members. A Board of elected Directors oversee the management of the business which is run on a day to day basis by a manager. The Directors serve on a voluntary basis and do not draw any salary or expenses. This site contains Information about Ridings Machinery Ring (RMR) Ltd.
We provide information and services to rural businesses throughout Yorkshire. 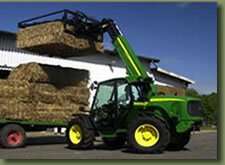 Commodities are traded between members, including; straw, silage, hay, feedstuffs, fertilizer, winter grazing/housing of stock. Inputs are supplied through RMR’s non-farming membership including; electricity, fuels and heating oils, lubricants, tyres and batteries, nursery supplies, wearing parts, wrap and twine. 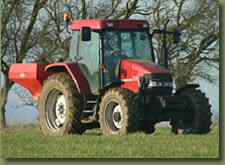 RMR can organise training courses and offer impartial help and advice on farming related issues.